be introduced to several ‘good’ brands. contributes to the world in its own unique way. will be whiting about some of the brands individually in a separate blogpost. write more, just let me know. The incredible scented candles by WOO. 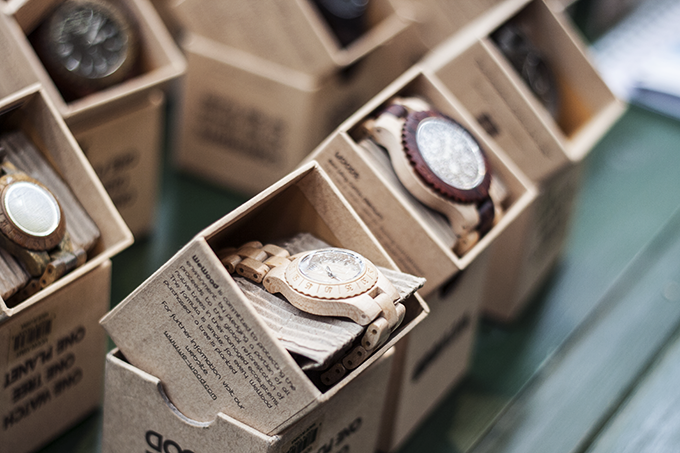 The stunning and feather light watches by WEWOOD. The fun, ecologicly prossed leather bags by MYPAPERBAG. The bright and cheerfull accesory’s by a Beautiful Story. Stunning red and blue heels by Guava Lab. Very sophisticated yet trendy shoes for men by Guava. The sustainable clothing line by RE BELLO. Hi there! I hope one day I can attend these kinds of events as a blogger, you're lucky to be there! I love that now wood is a material for fashion purposes! Obsessed with the watches! This looks like such a great event. I've seen those watches before and really love them! They are so different.